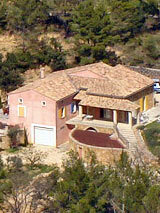 Les Chevalières, a beautiful Provençal residence combining charm and comfort for your holidays! A modern villa in the heart of the Comtat Venaissin region, in the village of Le Barroux, Les Chevalières is an oasis of peace and quiet. The charm and beauty of the residence provides comfort, relaxation and isolation for an enjoyable stay, whilst being perfectly situated if you wish to experience the many sights and sounds of Provence. Our villa offers 3-star comfort and enchants both adults and children alike, who can take advantage of a play area, a television and a library, while the grown-ups cook in the kitchen or relax in the living room. 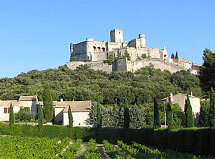 Just a few minutes from the Mont Ventoux mountain range, the Dentelles de Montmirail, Vaison-la-Romaine, Bédoin, Carpentras, Avignon and Orange. The 7 rooms and 5 spacious bedrooms are ideal for 8 to 10 guests. 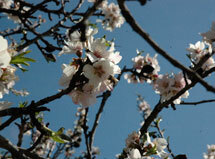 For more information, or to book your stay in Provence, please don't hesitate to contact us.